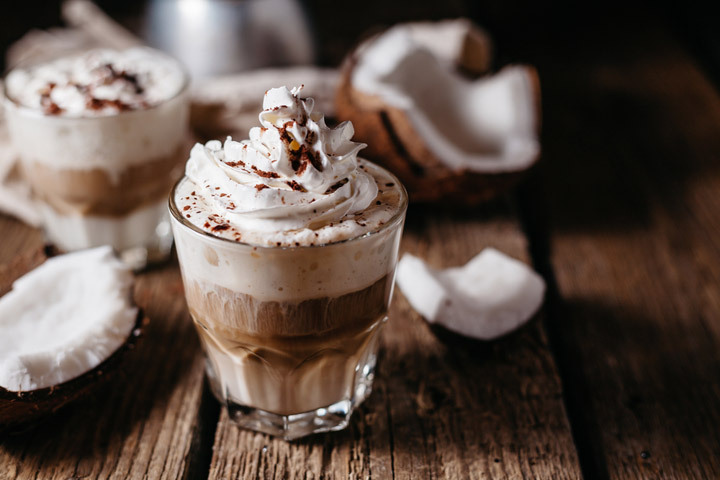 Coconut milk in coffee: Is it worth the try? How to determine the best coconut milk for coffee? What are the health benefits we can get from coconut milk? 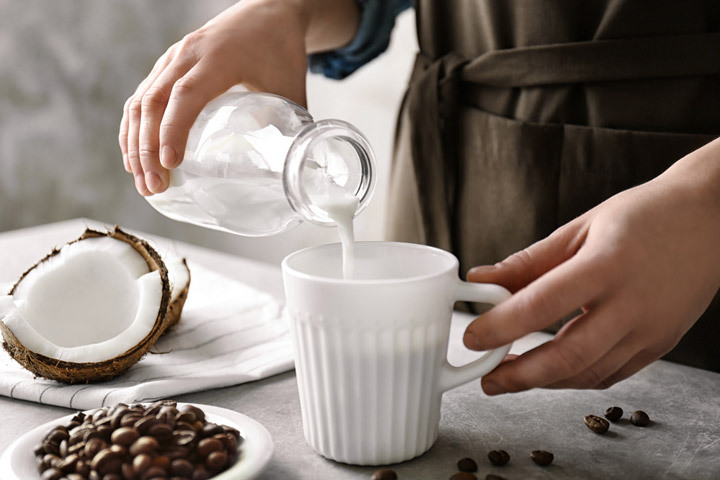 How to make a coconut milk coffee creamer? Of course, it’s worth a try! I’m in love with coffee. It doesn’t matter if it’s an instant kind or fresh from an Espresso machine. However, I always like the creamy taste and the heavenly aroma that comes with it. You should drink one to prove that it’s worth it. One day, I ran out of cream when I was so desperate to drink one. I needed to improvise, so I grabbed a can of coconut milk and tried pouring it in. You already know the rest of the story. Coconut milk in coffee is already a part of my favorite coffee mix. The first time I made one, I used coconut milk in a can. My coffee surprisingly became so creamy and delicious. Coconut milk has this distinctive natural taste and aroma that my usual creamer doesn’t have. If you like to try it out, choose a brand that is unsweetened, BPA-free, and doesn’t contain artificial preservatives. I used this one for mine. I bought this for my cooking purposes but found out that it’s also great for my coffee. It’s healthy; being free in gluten, soy, and dairy. However, with my curiosity, I started to experiment. When I had the time, I decided to use fresh coconut milk for my coffee. Do you know that freshly made coconut milk is far more delicious than the canned one? Besides, the vitamins and minerals from fresh coconut milk are still intact comparing to in cans. Take note though that after the pressing process, you need to use the milk within the day since it spoils easily. You can buy freshly pressed coconut milk from the market for a fair low price than those sold in cans. If you like to do the pressing yourself, using a food processor is much easier. Here is a video showing you a tutorial on how to do it. The truth is, it’s not just the natural taste of the coconut milk that compelled me to use it as a creamer for my coffee. I usually dig deeper before I start to take it regularly. With the health benefits that coconut milk can give, I made up my mind to stick to it. However, check first if you can tolerate coconut milk intake. I advise taking a little bit, one at a time. It is a good source of vitamins and minerals. A cup of coconut milk can give you fiber, protein, carbohydrates, fat, calories, Vitamin C, folate, Iron, magnesium, potassium, copper, manganese, and selenium. Hence, it contains a high level of calories and saturated fats known as medium-chain triglycerides, among other nutrients. Positive Effects on Weight and Metabolism. Do you know that MCT (medium-chain triglycerides) in coconut milk aids weight loss, benefits body composition and metabolism? MCT reduces your appetite, increases your metabolism and helps you get rid of those stubborn belly fats. Coconut milk has lauric acid that can improve the immune system. The fatty acid surprisingly helps in fighting bacteria and virus threats. It also contains antifungal properties and can reduce inflammation and swelling conditions. It’s a good choice for the heart. The saturated fatty acid (Lauric) in coconut milk proves to help for improved heart health and lower cholesterol levels. It naturally cleans the arteries of the heart to lower the risk of atherosclerosis that causes heart attacks and strokes. By now, I must have convinced you to use coconut milk as an alternative for your usual coffee creamer. In fact, I have made it a point to make a coconut milk coffee creamer that suits my taste. I make this ahead, and store it in my fridge for future use. This is very simple to make, so I encourage you to make one at home too. Instructions: Pour the coconut milk, sweetener, and vanilla extract into a container and stir. Mix it well. Use the amount you need for your coffee and store the rest in the fridge. Use it when needed. 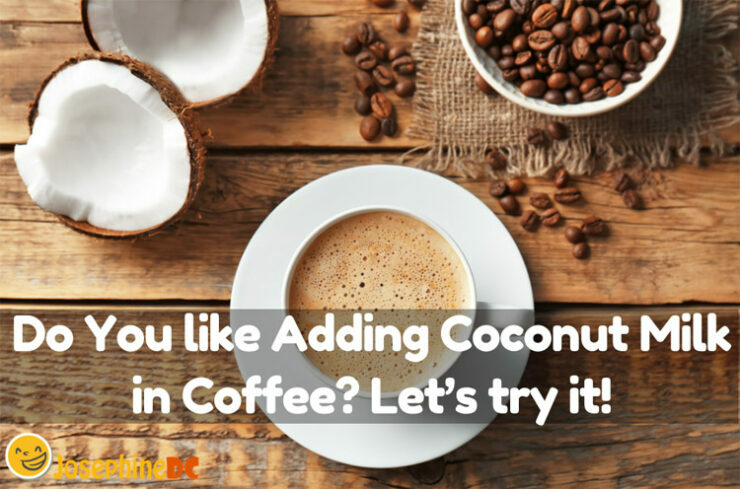 Here is another way to make a coconut milk coffee creamer. I thought you’ll like this too. I’ve spent a long time drinking coffee with coconut milk. In fact, I have tried several recipes hoping to find a more delicious combination. I want to share with you five of what I call “my regular” coffee mixes. Pour the coffee and the milk into a blender. Pour it into a mug and drop in some ice cubes. Add more coconut milk if you want more! Who likes to have coffee and ice cream at the same time? 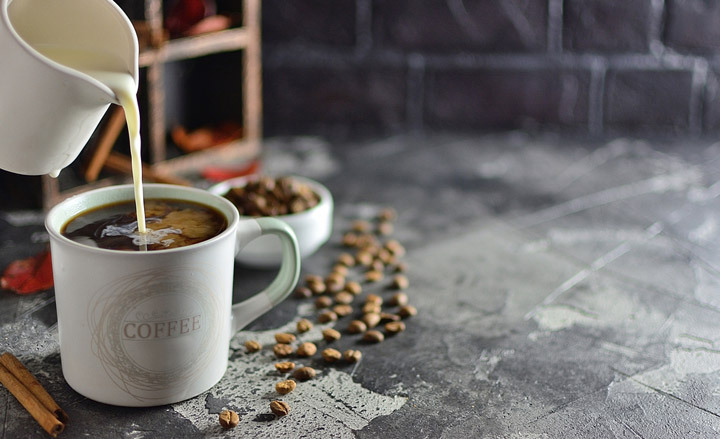 It’s awesome to be able to enjoy my favorite coffee and ice cream in one with the dairy-free coconut coffee ice cream. Have you tried one? First, you need to chill your 2 cans of coconut milk overnight. When ready, open the 2 cans off coconut milk and scoop the cream into a mixing bowl. Set aside the coconut water for later. Whip-up the cream in high-speed for about 3 minutes until it appears like a whipping cream. Add in the coconut condensed milk and whip it again for another 3 minutes. You may add the vanilla along with it too. When it’s already mixed and even in color, transfer to a container, cover, and place it in the freezer. Freeze it for 8 hours before serving. Here is a short video showing you how to make it. I like my coffee cold during the day when it’s warm, so thus the first two choices. However, for my early morning sip, it’s must always be hot. This Vietnamese coconut coffee is my motivation to get up every day. I just mix 4 ounces of coconut milk to my 12 ounces freshly brewed strong coffee in any container. For me, it’s my large mug. I use a bit of condensed milk for sweetener, but you can use any sweetener you like. Stir it well to blend, and enjoy it while it’s hot. You can try this recipe with ice too! Just mix 4 ounces of coconut milk to my 12 ounces freshly brewed strong coffee in any container. For me, it’s my large mug. Pour in a bit of condensed milk for sweetener, but you can use any sweetener you like. Stir it well to blend, and enjoy it while it’s hot. You can try this recipe with ice too! You know already that coconut milk in coffee is worth the try. It does not only give you a brand new taste of a delicious creamer, but it’s healthier compared to the regular creamer that you are used to. Did you find my favorite recipes easy to make? I encourage you to make some especially during hot summer days for refreshment. To make it convenient, you can make the coconut milk coffee creamer ahead so you can use it anytime. I tell you, it’s nice to know that there are plenty of ways out there to experience coffee in a better way. Level up, and discover greater possibilities! Do you have your own recipe? Share it here!